Welcome to Markfield Medical Centre. Our practice area covers Markfield, Thornton, Stanton-under-Bardon and parts of Newtown Linford, Groby, Copt Oak and Ulverscroft with a population of over 7000 patients. This website has been designed to help you make full use of the many services that our practice has to offer. Our Medical Centre has suitable access for disabled patients. All our patient areas including the waiting room, the consultation rooms and patient toilet are located on the ground floor with wheelchair access. We have chairs with arms available in the waiting room and have hand rails fitted in both corridors. The Practice Nurse & Health Care Assistant are available daily. There is a designated disable car parking space in the car park nearest to the front entrance. This NHS medical practice takes part in high quality medical research. Medical research helps to improve the health & wellbeing of the nation. 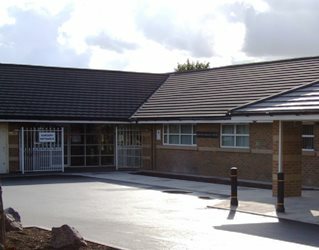 Markfield Medical Centre is part of the Federation of North West Leicestershire. North West Leicestershire GP Limited comprises of 14 practices, whose aim is to work collaboratively together to improve health in North West Leicestershire.